Dr Callahan studied dentistry at the University of Iowa where he graduated in 1984. He did a dental residency for a year at University of Chicago Hospital where he received training in oral surgery, maxillofacial prosthetics, complex medical dental cases, Orthodontia, as well as general anesthesia training. He has been practicing dentistry for over 37 years. Dr Callahan is a member of multiple Dental Associations and a volunteer at the Denver Rescue Mission since 1992. He has also done dental missions to Peru and Mexico. He is married and has four grown daughters and three grandchildren. He is very family oriented and loves being "Papa" to his grand kids. He enjoys golf, fishing and hunting as well as anything outdoors. Dr. Klein is originally a native of Westchester County in New York. 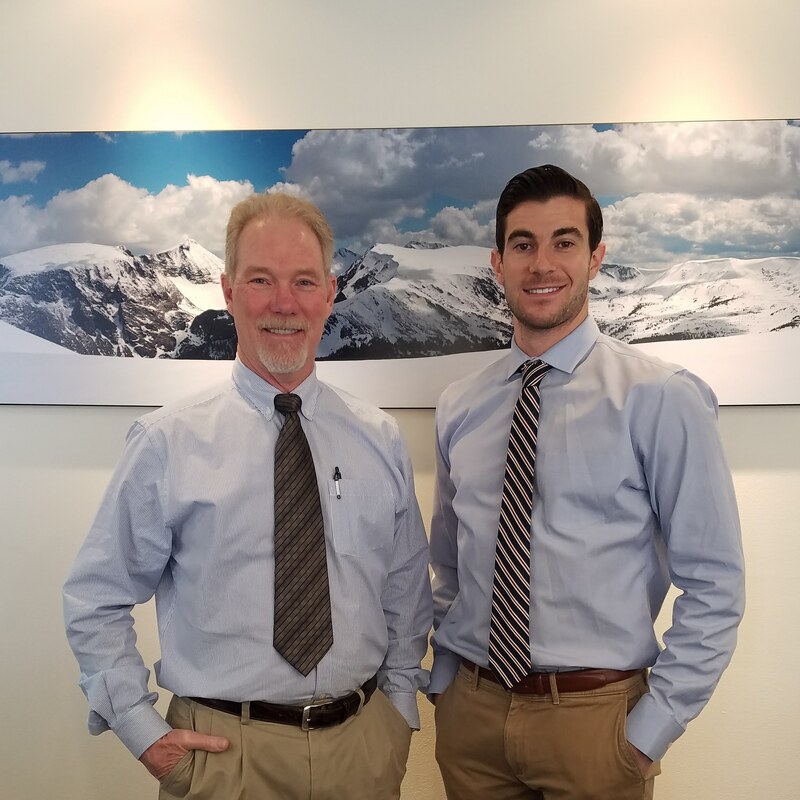 In his spare time, Dr. Klein enjoys skiing, hiking, tennis, and taking advantage of all of the wonderful outdoor opportunities Colorado has to offer. After receiving a bachelor's degree in Zoology from the University of Wisconsin-Madison, he continued his education at New York University(NYU)-College of Dentistry. While attending NYU, Dr. Klein was able to gear his curriculum to emphasize accelerated education in dental facial aesthetics. As well, he participated in an NYU honors program as a dental resident for Odyssey House Drug Rehabilitation Center. Dr.Klein first moved to Colorado to complete a surgery residency at Denver Health. This has provided him with opportunities to work alongside specialists to excel in advanced dental procedures and surgeries. "Under my care, you can expect that your health is my utmost priority. I also believe that everyone should love to smile and am pleased to guide your aesthetic desires. Together, you and I can work as a team to focus on your health and using state-of-the-art techniques to not only improve your smile, but give you a reason to show it off."